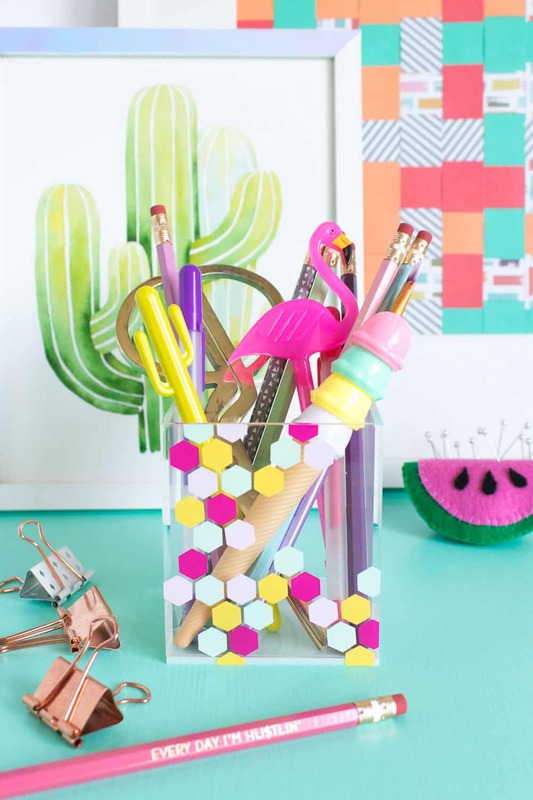 Get motivated and productive with these 20 DIY desk decor ideas! 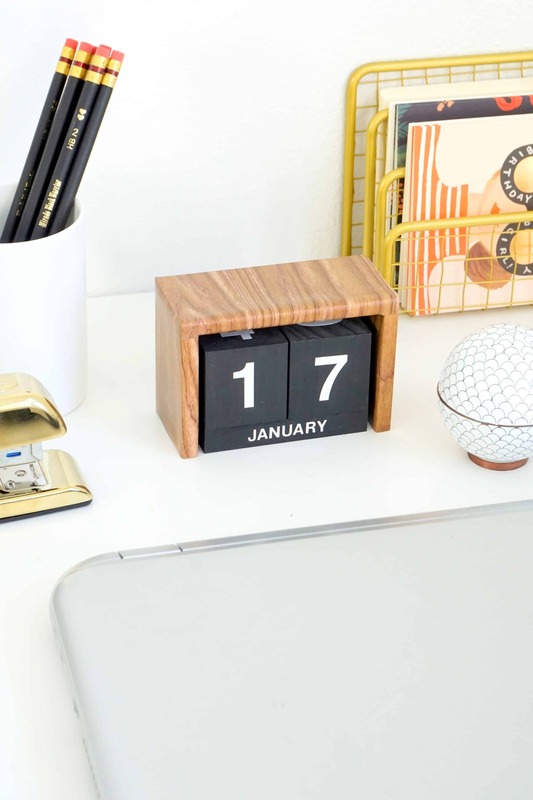 From calendars to pencil holders, there’s something to inspire you to get to work! I’m determined to get organized and make this year the most productive one yet! I usually blog from the couch, but lately I’ve found that I work best at a dedicated desk with all the supplies I need at my fingertips. 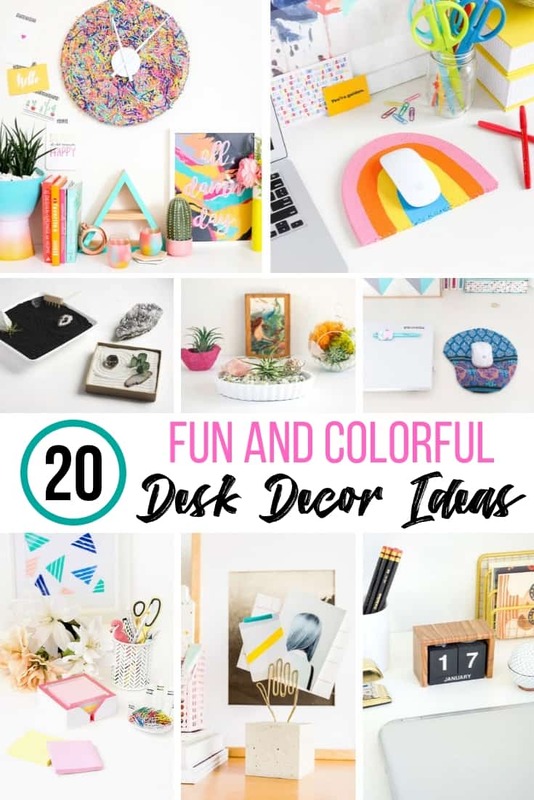 And I’m even more inspired to crank out the blog posts when I’m surrounded by fun and colorful DIY desk decor! 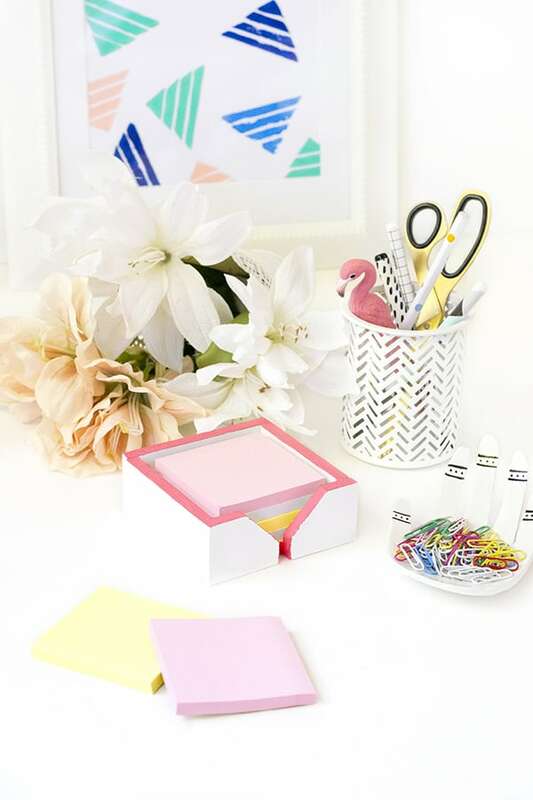 I love how much you can fit into this DIY desktop organizer! The two sides can be adjusted to fit your space, and can even be turned 90 degrees for a corner configuration. You can get the free woodworking plans for this easy project here! 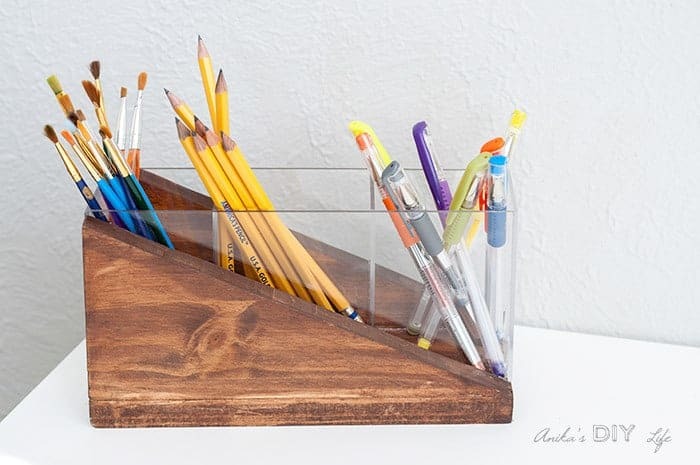 This pencil holder from Anika’s DIY Life combines warm wood tones with clear acrylic to make it easy to see what you’re grabbing! You can learn how to cut acrylic or plexiglass here. 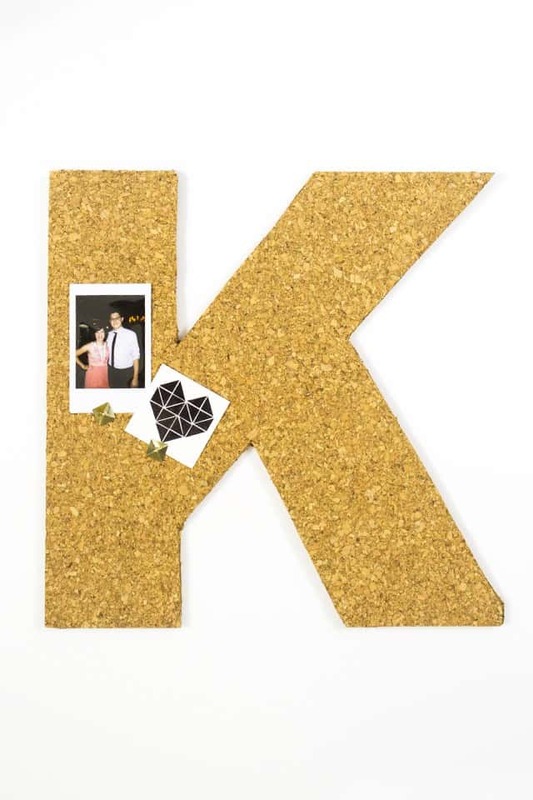 Customize your cork board to any letter or shape with this tutorial by Sarah Hearts! Add a pop of color by painting it to match your decor. You can find the corkboard sheets here to get started. 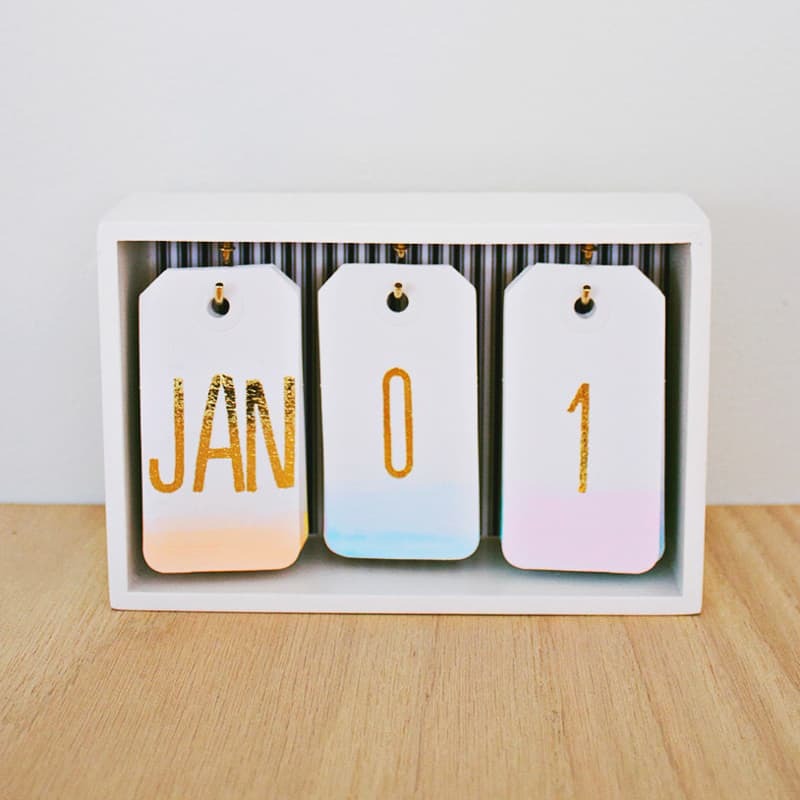 I love the simplicity of this modern flip block calendar by Francois et moi. This tutorial uses premade blocks, but would be a great scrap wood project too! 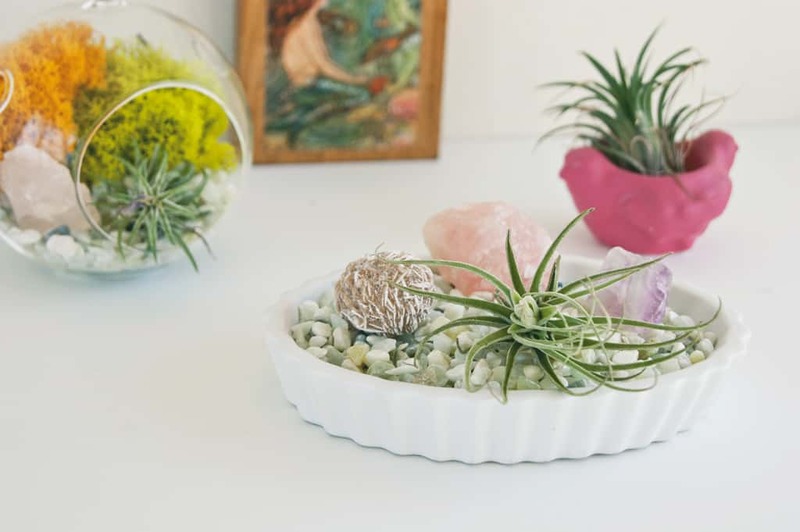 How fun are these little geometric planters by Tell Love and Party! I love how she switched them up for office supplies too. 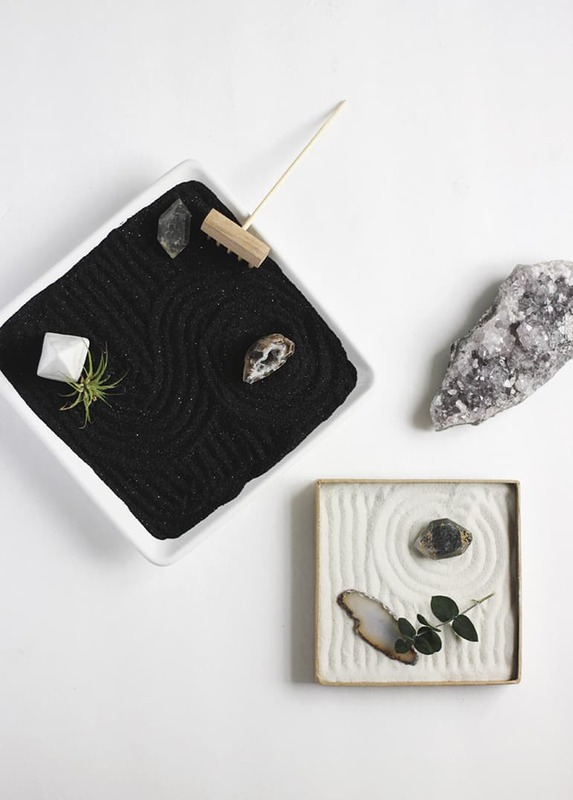 Zen gardens are so soothing, and having one on my desk is a MUST! Although I might get too distracted raking little lines in the sand to get any work done . . . 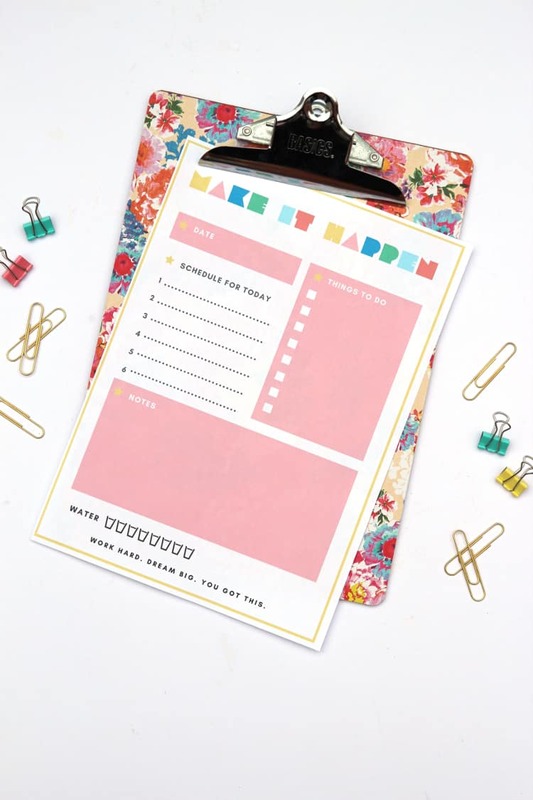 Perk up a boring clipboard with gorgeous wrapping paper! I might make one with the leftover granite contact paper from my kitchen countertops and use it to hold recipes. Chalkboard paint is a great way to label just about anything! 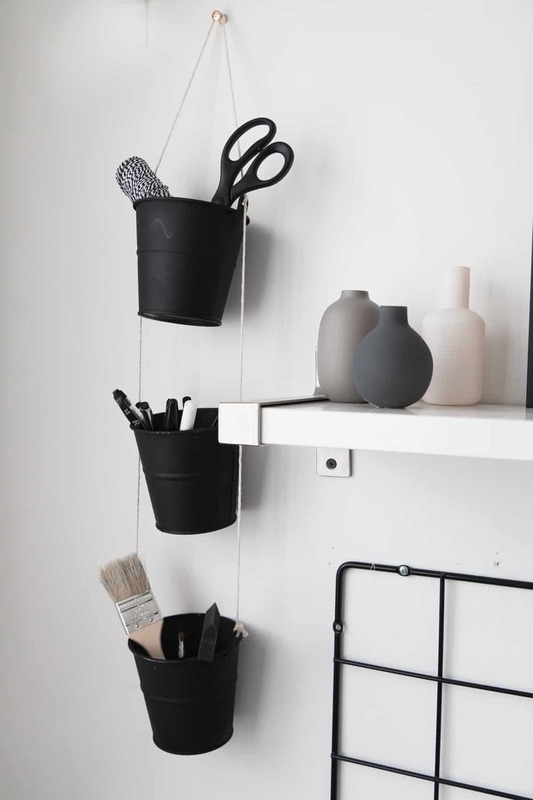 If you switch up what’s in your storage bins a lot, this is the perfect way to keep them organized. Use bright chalkboard markers to bring some color to the flat black paint. OMG, this is soooo cool! I want to add confetti to all.the.things now! 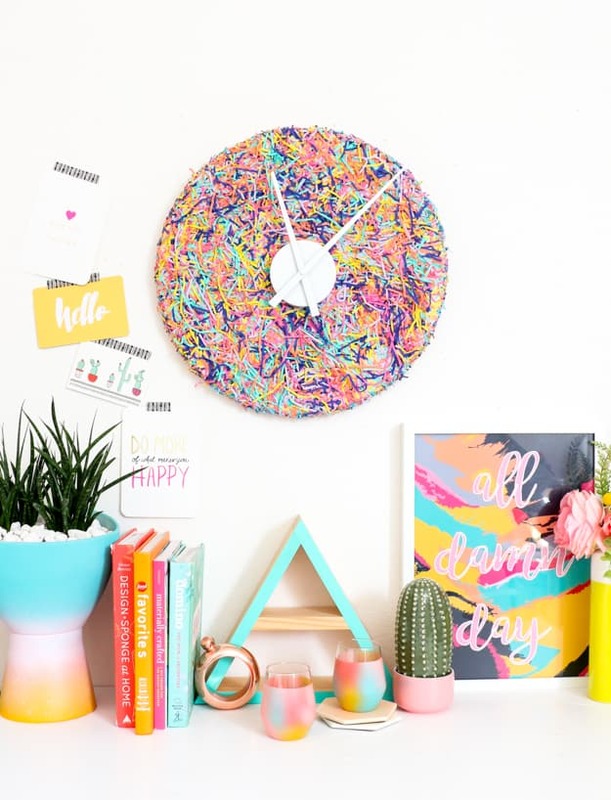 Although a clock that looks like a sprinkle donut would always make me think it’s snack time . . . 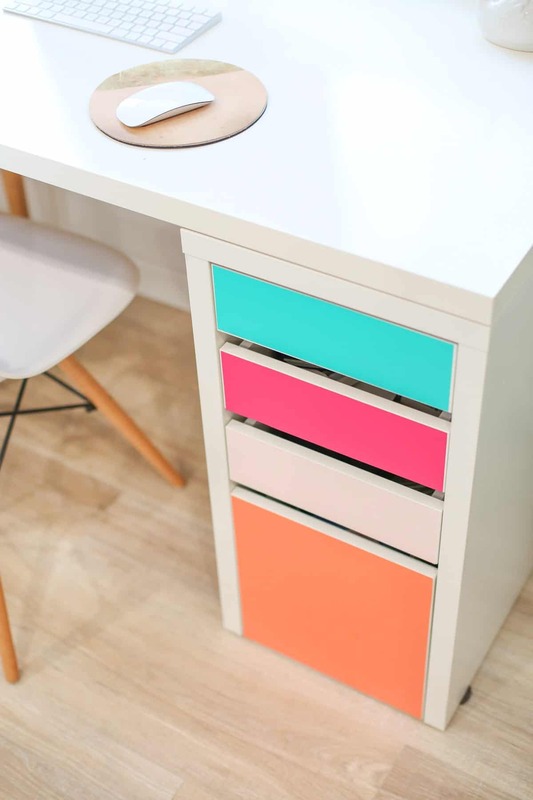 Spruce up your drawer fronts without a drop of paint by using colorful contact paper or vinyl instead! This would make it easy to switch up your desk colors as your tastes change, too. 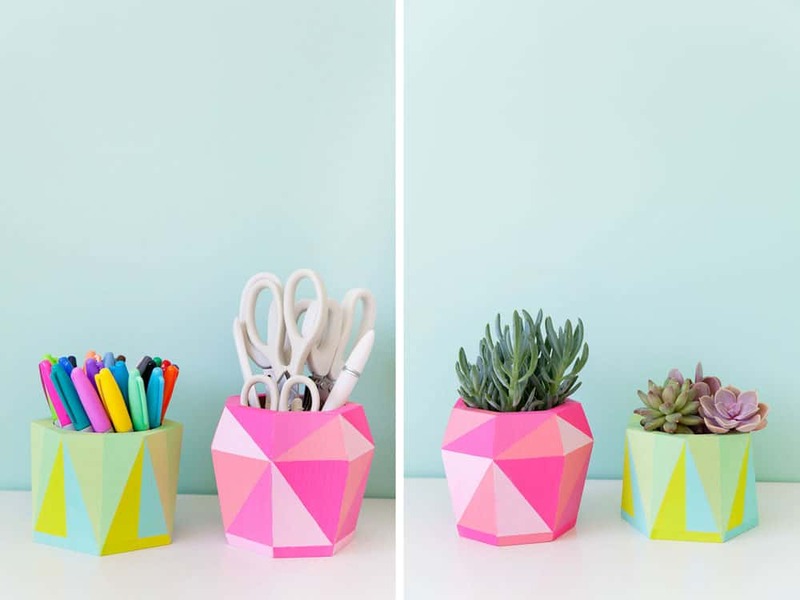 Turn an average acrylic pencil cup into a more colorful version with different colors of vinyl, cut into fun shapes! I think I need a hexagon pencil holder to go on my hexagon side table . . .
Personalize your boring mouse pad with your choice of fabric! 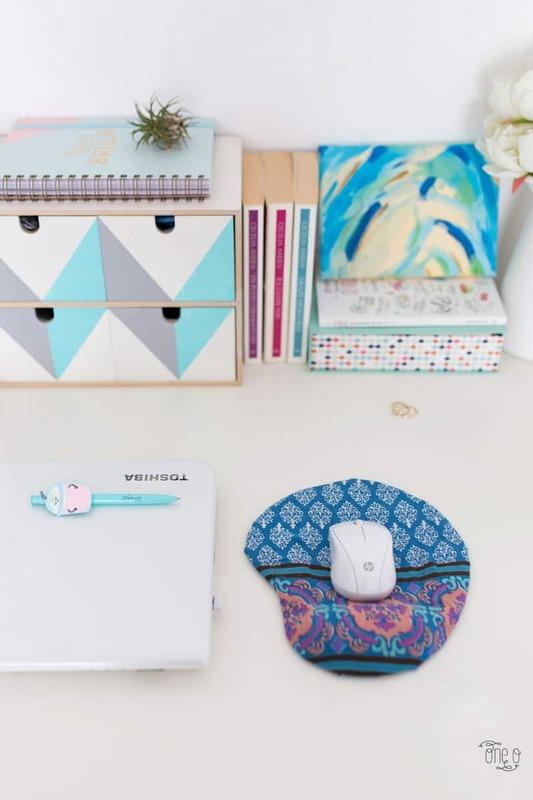 Not only will it make your desk prettier, but it probably feels nicer on your wrists, too. How many times have you seen the perfect fall leaf, but didn’t know what to do with it? 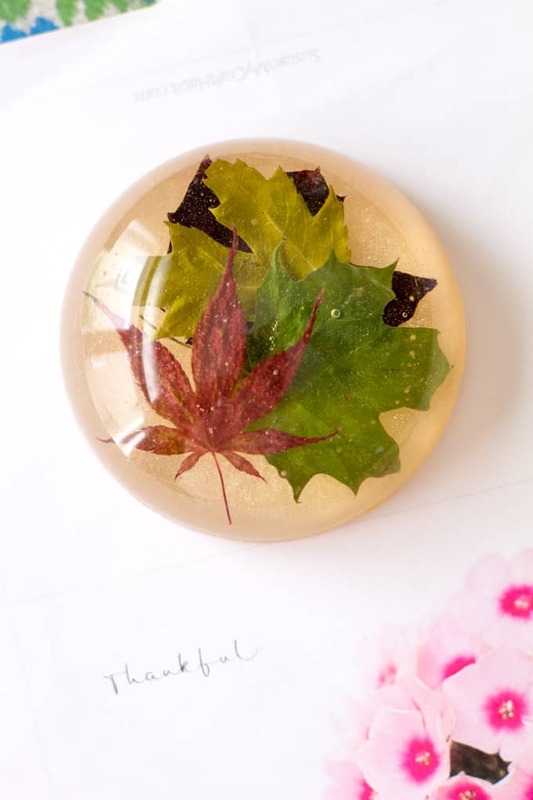 If you cover it with clear resin epoxy, you can enjoy nature’s bright colors as a paperweight all year long! 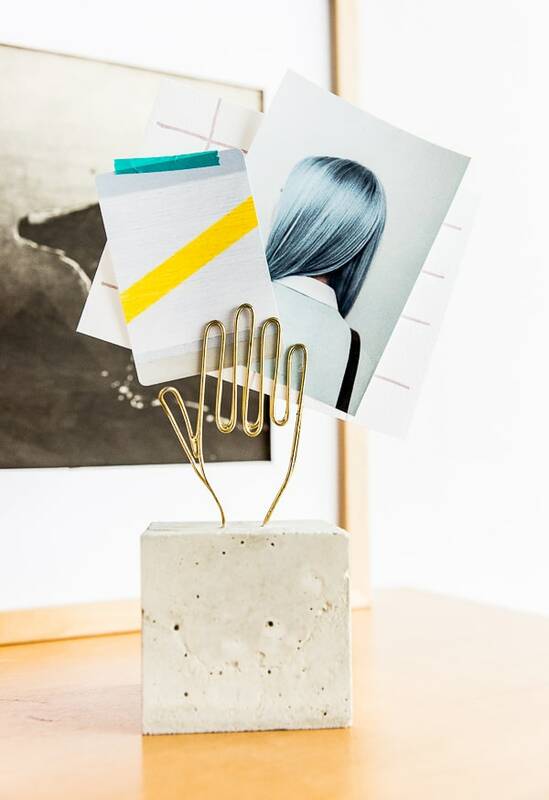 Hold your most important notes at eye level with this whimsical wire hand paper holder! 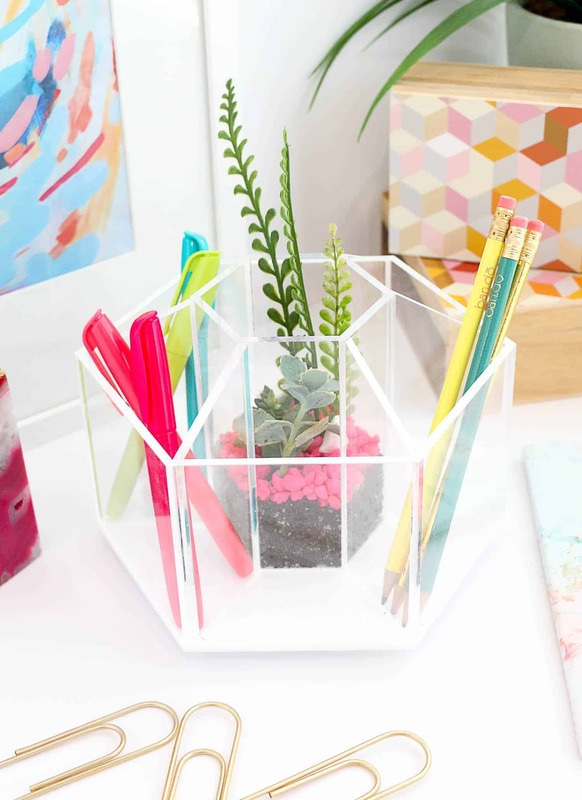 The clear sides of this acrylic desk organizer make it the perfect way to observe your plants growing! Keep track of the date in style with this flip calendar! Get the tutorial to ombre cardstock at Handmade by Carmona. I’m a total Post-it hoarder, and the little squares are all over my desk! I need to make one of these Post-it note holders to keep them all in one spot! 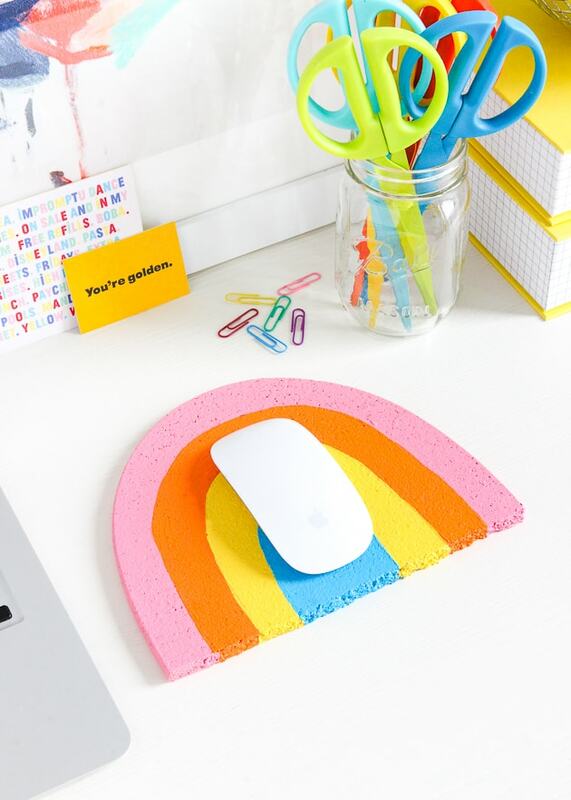 How could you not love to work at your desk when there’s a colorful rainbow mousepad to greet you every day? It doesn’t get much more simple than this! 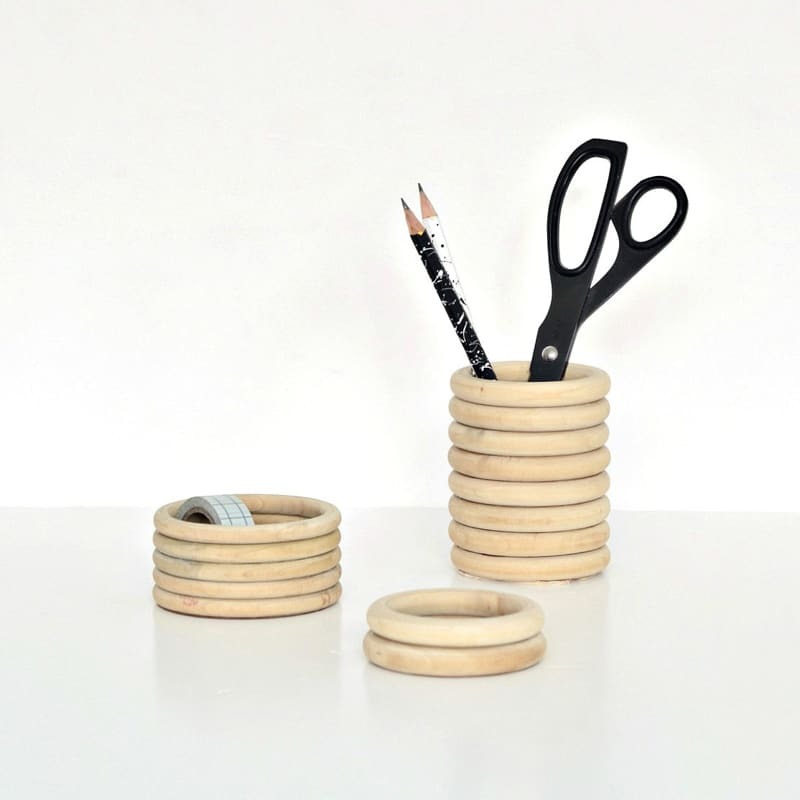 Paint the wooden rings in any color to match your desk decor! 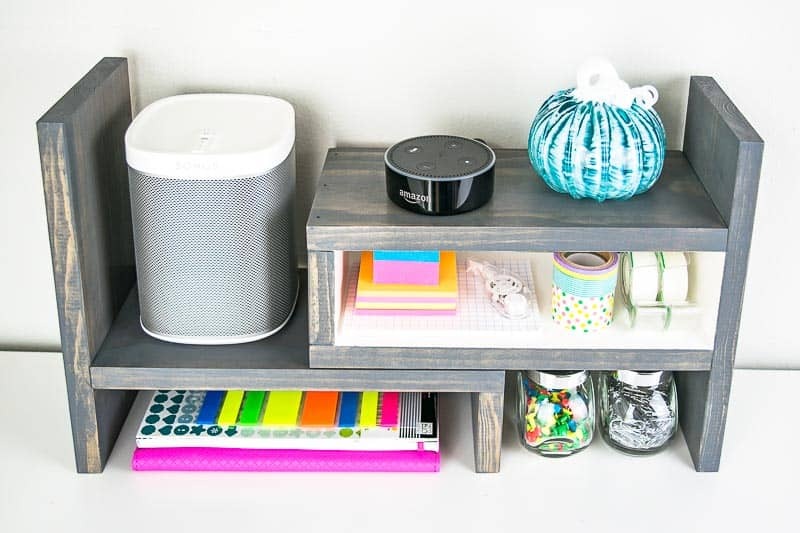 Need a new desk to go along with your new DIY desk decor ideas? 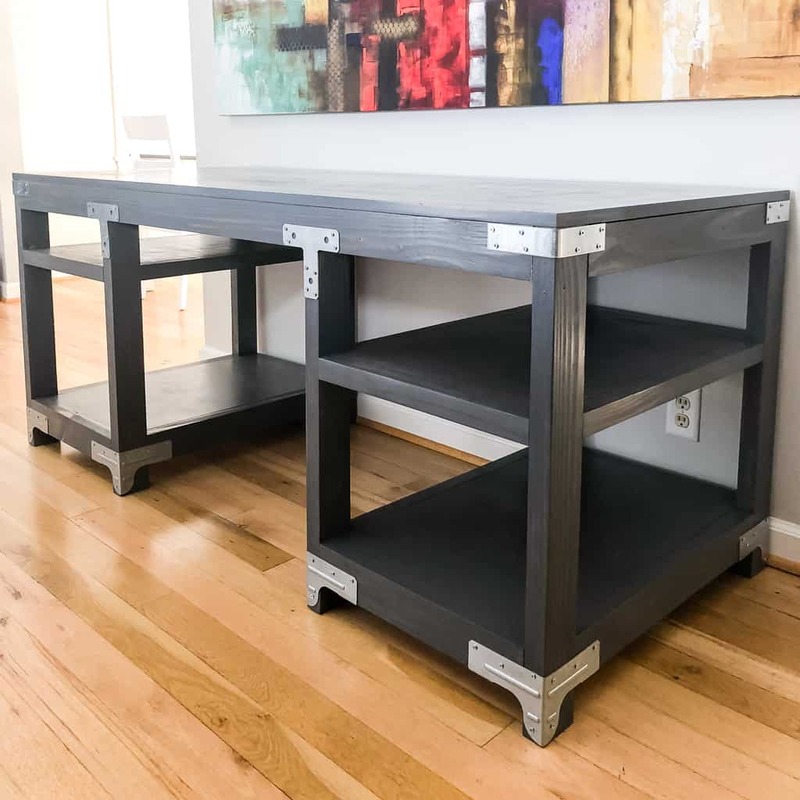 Get the plans to build this industrial desk! 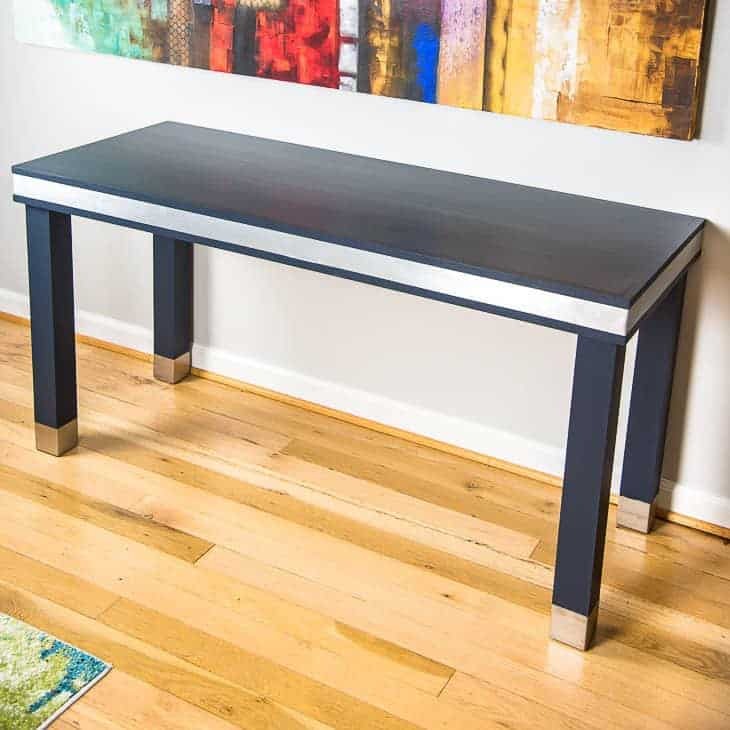 If you’re looking for something a little more streamlined, try this wood and metal desk! 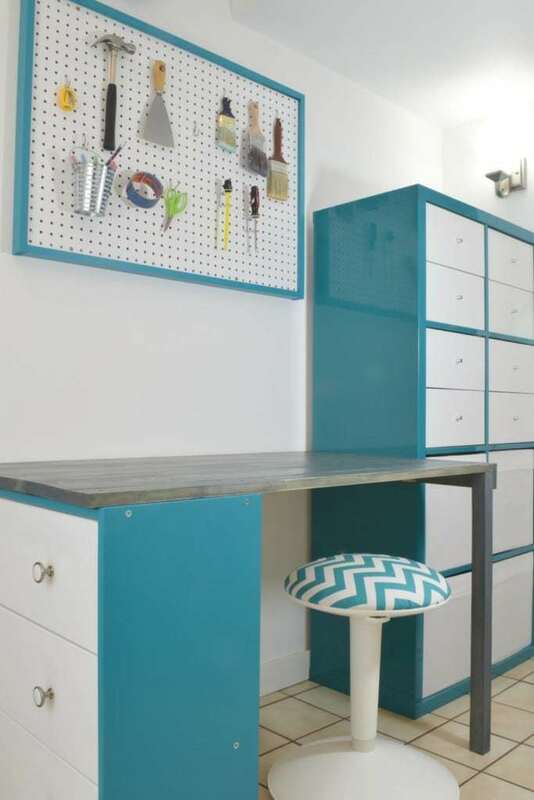 Add a ton of storage with this IKEA Rast + Kallax desk hack!